Steady returns, low drawdowns and full transparency are three key factors that set the best-managed forex accounts apart relative to their competitors. Nothing is more exciting than projecting your portfolio returns based on the historical results you see published from various Forex trading systems. 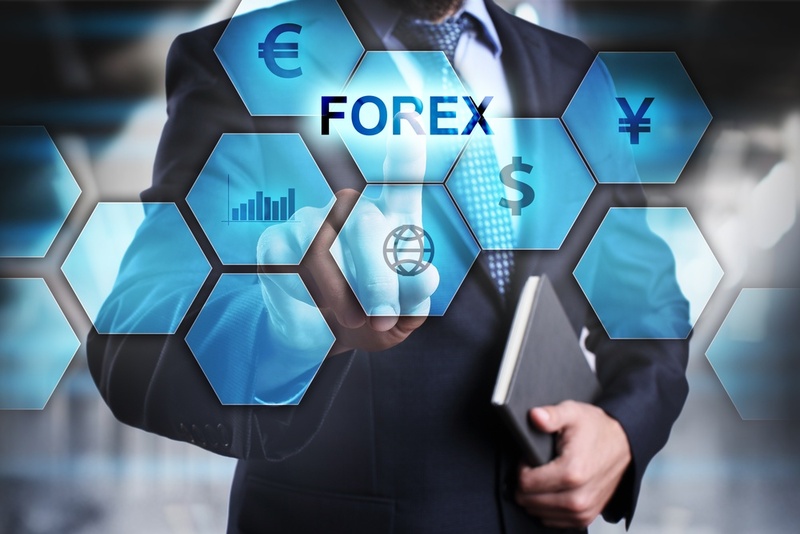 But along with the higher returns of Forex managed account services, you also have some new concepts to take into account to identify how real the returns are. For example, you will often see the TV commercials promoting industry super funds. You will see two people in identical circumstances. Same income, same contributions and the same percentage return over 25 years or so. But the result is always different. The difference usually comes down to the performance or management fees of the fund. The company promoting their fund is highlighting their lower management fees and how more of the returns go back in your pocket. In this article, we’ll be discussing the key factors you need to consider when reviewing an investment product or service, their performance and identifying the backtested versus real returns. The goal is to show which statistics are critical for you when evaluating a Forex managed service. If you have been around trading for any length of time, you will know how different paper trading is compared to live trading. Paper trading, or demo trading, is where you put your trading system to the test with virtual money to see how it performs in real time. Paper trading is highly recommended for those who are new to trading and need to get familiar with the trading platform and how to execute their trades into the market. Being able to test your execution and strategies in a simulated environment is an ideal way to get comfortable with your system and feel confident in your ability to execute your trades in the market. Mistakes often cost traders a lot of money and a demo environment is the perfect way to see what mistakes you may make with zero real-life financial costs. But those who have been around trading know the biggest pitfall of trading in a demo environment. The biggest pitfall is the fact you have zero emotions connected to your open positions. Your system may have generated seven losses in a row, but in a demo environment, taking the next trade is always simple. But in real life, doubts creep in. You start to question your trading system. You start to question your entries. You start to wonder if your system is going to continue the losing streak. As a result, in real-life, it is not uncommon for a trader to stop trading their system after a series of losses. Murphy’s law would then jump in and the best winning trade of the year will pass you by while you are sitting on the sidelines, licking your wounds. So too with reviewing a Forex managed account service. You need to know the company has real trading results under their belt on real client accounts versus hypothetical results. Before we get into the important figures you need to consider, let’s take a look at discretionary trading versus mechanical system trading. There are two main types of trading systems a Forex managed account service uses, which are discretionary or mechanical systems. Discretionary trading systems are where the investment manager will base their decisions on a series of rules over time and will have them all written down. The discretionary investment manager can show the entry, exit and position sizing rules of their system and get others to trade it for them. However, from time to time, the discretionary investment manager will override their rules and make changes based on new information they have at the time. As you can appreciate, the investment manager is using discretion to override their system, even though their trading rules may have provided several entry signals during that time. A trading fund using a mechanical system also has a set of rules, but their rules are very black and white. The signal either happened, or it didn’t. Regarding a major event, something like an election or upcoming non-farm payroll data has already been taken into account. As a result, all signals have to be executed when they occur. A mechanical system trading investment manager knows the importance of hitting every signal as they never know when the system’s best trade is going to happen. Now you have an understanding of the types of systems a Managed Forex service will use, we can start to delve into how their results are portrayed. Backtesting is the process of seeing how your trading systems would have performed based on historical data. It is important to know if the managed forex service you are considering has backtested their system and proven the success of their system. Mechanical system traders have an edge here as their results can be coded into software like Metatrader 4 or other backtesting software and tested in seconds. The challenge is for the discretionary trading investment manager. As mentioned above, a discretionary trading investment manager has rules but can override them based on their experience and upcoming market events. This means their historical backtesting will have biases. For example, seven years ago, an important market event may have happened, and they may have stopped trading. But the backtesting results cannot make those discretionary calls. Instead, the computer backtesting model will execute all trades and spit out the results accordingly. This is where the rubber hits the road. You want to be able to see two things when it comes to reviewing the competency of your forex managed account service. The first one is that they have been able to prove their system works on historical data. This is where you would ask for their backtested results. But more importantly, you want to confirm they have tested their systems live in the market with real money. Ideally, you want to be able to see a 9-12-month track record of live trades using client funds. Nothing will beat the pressure of having to perform for client’s month after month with real money. You must make sure you are placing funds with a managed forex service who has real returns under their belt. Our team have been investing in the Forex markets for nearly ten years and have tested hundreds of individual trading systems. As a result, we take an individual approach with our clients and walk them through both our backtested historical results and our live results. We highly recommend you consider the live results executed into the market when reviewing a forex managed account service. Wouldn’t it be nice if your managed accounts charged zero fees? In the real world, it takes years of focus and a strong mindset to get to the level of being a professional investment manager, trading other people’s money. Trading is one of the toughest endeavours in the world to master. As a result, investment managers and Forex managed account services like Walker Capital, charge certain fees to deliver your results. The fairest model is a performance fee. No doubt you have thought about this when your industry super fund has a losing year but still charges you thousands of dollars for the privilege of losing money. At Walker Capital, we charge a 30 percent performance fee on the high watermark level. In addition to the 30 percent performance fee, Walker Capital charge a 1-pip spread markup on each executed trade. One of our main goals at Walker Capital is full transparency, which is why we are putting this post together. We want to make sure you have all the information at your fingertips so you can make an informed decision. You can be assured the equity curves and month by month statistics on the four main systems (Swing, Breakout, Retracement and Price Action) we trade at Walker Capital are based on live trades in the market. Having said that, it is important to note our figures are raw returns and have not taken into account the performance fee or any spread markup associated with individual trading accounts. Hopefully, this post helps you understand the importance of real performance trading results based on live client accounts and not just hypothetical returns based on backtested data. Getting started with our selection of managed Forex investment is simple.